Storage is one of the primary needs for computing and every evolution that technology has undergone, has brought with it newer, faster and more performant variant of the same component in a smaller package. While there are so many things that fit this description, we’ll limit our scope to SSD vs HDD. We’ll get into the nitty-gritty details but first, let’s get to the basics. What’s an SSD and What’s an HDD? Before answering that question let’s get to some fundamental Computer Science stuff. So your computer is the dumbest thing ever. Unless you explicitly specify what it must do, it just sits around using power. Also, if you turn off the power supply, it’s gonna forget everything that it was doing or holding on to. That’s where secondary storage devices come in. 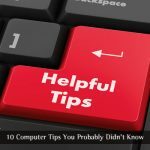 While your RAM and Processor Registers are mostly used for computation and loading up applications, the secondary storage devices are used to persist data or store data in laymen terms. Now, with the ever going changes in technology, this space of data storage has had numerous options come in and go. To name a few we started way back with the floppy disks then the optical drives, then came hard drives and then the faster flash storage options. And then you obviously have the good old memory cards and USB sticks which also come under flash storage. At first, the per-gigabyte cost of even hard drives was too high, but as the technology got more mainstream and accessible, the prices came down. This aspect holds true for almost everything in tech, be it your smartphones, LED Panels and everything imaginable. The initial adopters generally have to pay a greater price to use the new technology and then the prices go down gradually. When looking into the storage space, there are some key things which you must be considering. And judging by the title of this post I’m sure almost all of you would have made a biased decision that it’s the SSD which win. To you I say, hold on to be surprised. 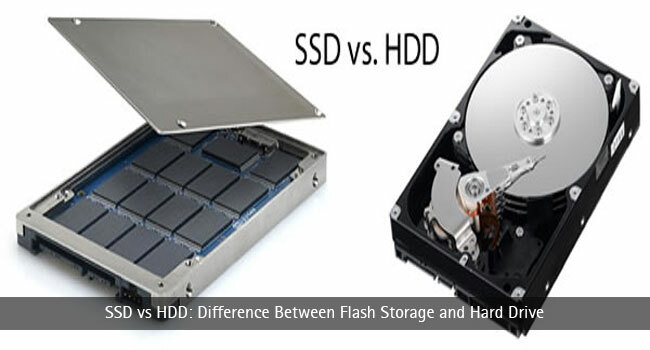 So what really are the areas that you need to compare flash storage vs hard drive to make a purchase decision? And these are the ones that we’ll compare the both against. Let’s Get Started by Talking What HDDs and SSDs Actually Mean? What does HDD stand for? HDDs or Hard Disk Drives store data in magnetic core (the disk) and that core is divided into tracks and sectors which is mostly the nerdy stuff which you can read up on yourself. The idea is that the single unit is divided into smaller units where data actually gets stored. And there’s a rotating head which locates each smaller unit (or sector) and reads original writes to it. SSDs or Solid State Drives, on the other hand, have no moving parts (compared to the rotating head on the HDDs) and are based on the Flash Storage technology which makes them inherently faster than HDDs (hold your horses as I’ve still not made the final call). Instead of being made of a magnetic core, the SSDs rely on semiconductor chips to store data. They are just like your RAM (which is faster than your secondary storage device) but they have the added bonus that they don’t lose your data when power isn’t supplied. The SSDs look like a RAM with a grid of electrical cells on it to facilitate fast data transactions. Now that we have the basic ground laid out, let’s get to the comparison. When considering the speed of both the options you really have to consider a few things. First, yes SSDs are faster, but that’s for reads. In the real world scenario when you purchase an SSD it’s going to be fast for both reads and writes but over time it will degrade. That’s because out of the factory the SSDs have blank pages you can write to but over time for your write operations, it takes a lot more time as there’s the task of finding blocks of memory that can be used, flushing it out and then writing on to it. When it comes to reads, it beats the HDDs by staggering numbers. This is because by nature SSDs have an advantage over HDDs as they’re made out of fast flash storage which can quickly send and receive data. When comes to performance, you need to take a closer look. SSDs are all about the small transactions of data that happens consistently all the time. Which would be running an Operating System where you get your emails or an application has to be launched etc. These are the things that count on to system responsiveness and this is where SSDs destroy Hard Drives. 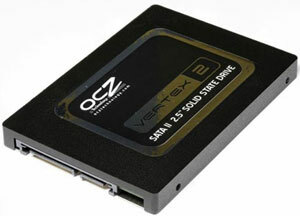 Any modern day SSDs will be faster than the fastest Hard Drive available in the market. But What About Performance with Respect to Storage? Well, it’s true that for playing videos, watching movies, looking at your archive of the photos you don’t really need a fast storage option and that’s exactly where Hard Drives beat SSDs when you take the pricing into account, (which we will do later on in this post) you’ll see that we’re nowhere near replacing hard drives for mass storage solutions. This is an interesting point to take a look at. As of now, for $160 USD you can either get a 256 GB SSD or a 4 TB hard drive. That’s a storage space factor of 16x. This is what you need to take into account. So basically by buying out 2 hard drives, you can set up a RAID with a backup unit without shedding a single extra buck. As mentioned earlier, SSDs are fairly new to the game and it’s going to take some time to get the prices down but for most cases going with a Hybrid Drive is what you would want. A Hybrid Drive essentially leverages the technology of both the SSD and a hard drive. So you get the massive storage size of a hard drive for storage and the speed and performance of an SSD for running your operating system on. When it comes to reliability, you see the thing is hard drives are pretty reliable. But as with all mechanical devices, they will degrade over time. And they give you signs for that, like weird noises when your hard drive is spinning or slow transaction. Going over to the SSDs they’re not flawless either. When it comes to merely reading data, SSDs are fine but when it comes to writing large amounts of data, you can easily wear out a consumer grade SSD pretty easily. There’s not really a clear winner in the difference between SSD and HDD. Both solutions work in their relevant scenarios. While hard drives are what’s to be opted for in cases where reliability is of paramount importance, in cases where performance is an everyday requirement like laptops (with space constraints due to the slim designs these days) SSDs would make much sense. So weight in your opinions well before investment. Gave good clarity. Understood the difference. Hello Prateek, since, learning about SSD and HDD in my 8th class. I was always confused between them. Thanks a lot for clarifying the things. Now, I at least know what things I am using!